Merci Chocolates Giveaway: Who Are You Thankful For? Christmas may be over, but it's never too late to give someone you care about a token of your appreciation. 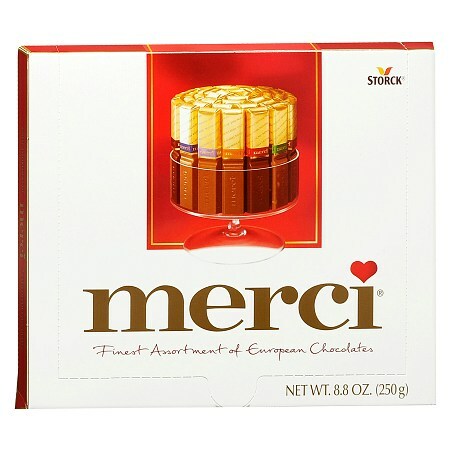 Merci European Chocolates ($5.99, CVS and Walgreens) is the perfect way to say thank-you. Each package includes 20 individually wrapped chocolates in seven different flavors -- milk chocolate, coffee and cream, hazelnut and almond, hazelnut cream, dark cream, dark mousse and praline cream. Comment on this post with your first name and tell us who you will give a meaningful thank you to this holiday season and why? 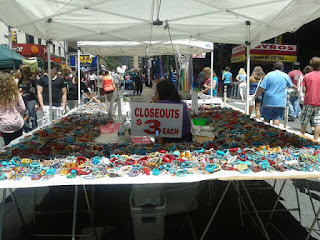 The giveaway offer ends January 2 at 11:59 p.m. Good luck! It would probably be my aunt. My aunt has been there to talk to and to help me as my parents have had a very stressful health year. I needed someone to talk to and she always listened. I would give a meaningful thank you to my parents who are 88 and 93 years old and have helped their children their whole lives!